Automobiles Ettore Bugatti was a French car manufacturer of high-performance automobiles, founded in 1909 in the then German city of Molsheim, Alsace by Italian-born Ettore Bugatti. Bugatti cars were known for their design beauty (Ettore Bugatti was from a family of artists and considered himself to be both an artist and constructor) and for their many race victories. The death of Ettore Bugatti in 1947 proved to be the end for the marque, and the death of his son Jean Bugatti in 1939 ensured there was not a successor to lead the factory. No more than about 8000 cars were made. The company struggled financially, and released one last model in the 1950s, before eventually being purchased for its airplane parts business in the 1960s. In the 1990s, an Italian entrepreneur revived it as a builder of limited production exclusive sports cars. Today, the name is owned by German automobile manufacturing group Volkswagen. Founder Ettore Bugatti was born in Milan, Italy, and the automobile company that bears his name was founded in 1909 in Molsheim located in the Alsace region which was part of the German Empire from 1871 to 1919. The company was known both for the level of detail of its engineering in its automobiles, and for the artistic way in which the designs were executed, given the artistic nature of Ettore's family (his father, Carlo Bugatti (1856–1940), was an important Art Nouveau furniture and jewelry designer). The company also enjoyed great success in early Grand Prix motor racing, winning the first ever Monaco Grand Prix. The company's success culminated with driver Jean-Pierre Wimille winning the 24 hours of Le Mans twice (in 1937 with Robert Benoist and 1939 with Pierre Veyron). 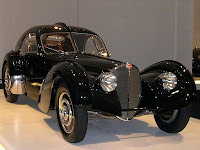 A 375 cc supercharged car was stopped when Ettore Bugatti died on 21 August 1947. Following Ettore Bugatti's death, the business declined further and made its last appearance as a business in its own right at a Paris Motor Show in October 1952. Bugattis noticeably focused on design. Engine blocks were hand scraped to ensure that the surfaces were so flat that gaskets were not required for sealing, many of the exposed surfaces of the engine compartment featured Guilloché (engine turned) finishes on them, and safety wires had been threaded through almost every fastener in intricately laced patterns. Rather than bolt the springs to the axles as most manufacturers did, Bugatti's axles were forged such that the spring passed though a carefully sized opening in the axle, a much more elegant solution requiring fewer parts. He famously described his arch competitor Bentley's cars as "the world's fastest lorries" for focusing on durability. According to Bugatti, "weight was the enemy". 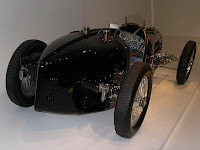 Relatives of Dr. Harold Carr found a rare 1937 Bugatti Type 57S Atalante when cataloguing the doctor's belongings after his death in 2009. Dr. Carr's Type 57S is notable because it was originally owned by British race car driver Earl Howe. Because much of the car's original equipment is intact, it can be restored without relying on replacement parts. On 10 July 2009, a 1925 Bugatti Brescia Type 22 which had lain at the bottom of Lake Maggiore on the border of Switzerland and Italy for 75 years was recovered from the lake. The Mullin Museum in Oxnard, California bought it at auction for $351,343 at Bonham's Retromobile sale in Paris in 2010. Italian entrepreneur Romano Artioli acquired the Bugatti brand in 1987, and established Bugatti Automobili SpA. Bugatti commissioned architect Giampaolo Benedini to design the factory which was built in Campogalliano, Italy. By 1989 the plans for the new Bugatti revival were presented by Paolo Stanzani and Marcello Gandini, designers of the Lamborghini Miura and Lamborghini Countach. 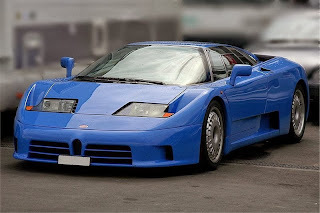 Bugatti called their first production vehicle the Bugatti EB110 GT. Bugatti advertised the EB110 as the most technically advanced sports car ever produced. On 27 August 1993, through his holding company, ACBN Holdings S.A. of Luxembourg, Romano Artioli purchased Lotus Cars from General Motors. 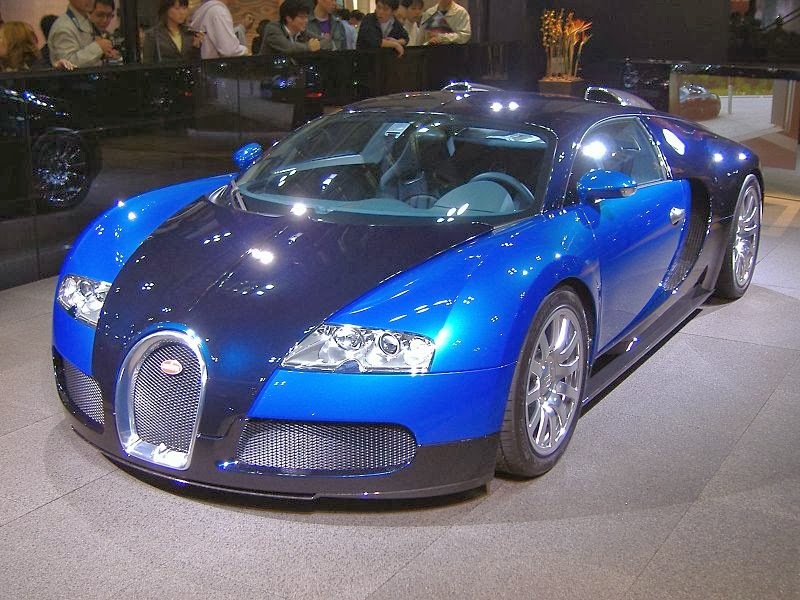 Bugatti made plans to list the company's shares on international stock exchanges. More details about Bugatti Automobiles. Volkswagen AG acquired the Bugatti brand in 1998. Bugatti Automobiles S.A.S. commissioned Giorgetto Giugiaro of ItalDesign to produce Bugatti's first concept vehicle, the EB118, a coupé that debuted at the 1998 Paris Auto Show. The EB118 concept featured a 408-kilowatt (555 PS; 547 bhp), W-18 engine. After its Paris debut, the EB118 concept was shown again in 1999 at the Geneva Auto Show and the Tokyo Motor Show. Bugatti introduced its next concepts, the EB 218 at the 1999 Geneva Motor Show and the 18/3 Chiron at the 1999 Frankfurt Motor Show (IAA). Bugatti Automobiles S.A.S. began assembling its first regular-production vehicle, the Bugatti Veyron 16.4 (the 1001 BHP super car with an 8-litre W-16 engine with four turbochargers) in September 2005 at the Bugatti Molsheim, France assembly "studio". Last updated on 23 November 2013 at 23:55.